1911 Witter Bynner 02 writes the Bulletin to protest Harvards refusal to allow Emmeline Pankhurst to address the Harvard Mens League for Woman Suffrage in Sanders Theatre. An anonymous Old Grad disagrees: Aside from Amazons, mismated women, and sexless persons in female garb, the supporters of the fad of equal suffrage are few. 1926 Answering the question What is a Good Teacher Worth? the Bulletin urges that Harvard pay its full professors a minimum wage of $10,000 a year. 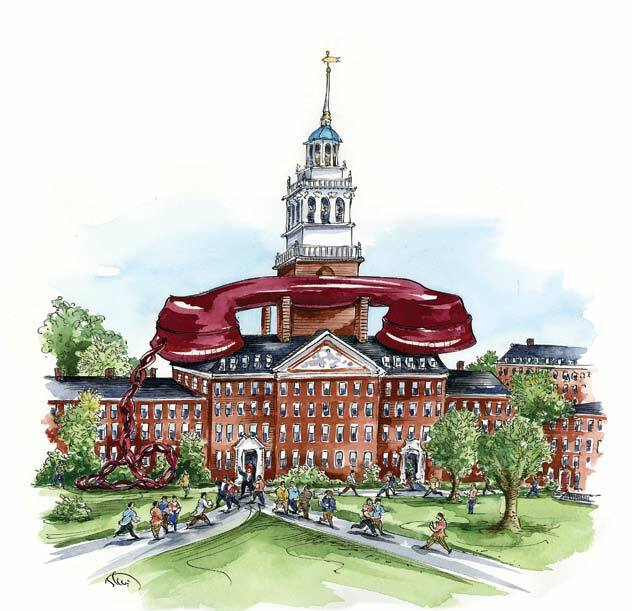 1936 A University telephone directory is issued by the Crimson and the telephone company. Lowell House, with 40 telephones per 100 inhabitants, outclasses Washington, D.C. (35.8 per 100), top scorer in the outside world league. The newspapers of Cornell, Columbia, Dartmouth, Harvard, Princeton, Penn, and Yale jointly publish an editorial calling for an Ivy League of football, to preserve the ideals of intercollegiate athletics. 1941 The day after the attack on Pearl Harbor, undergraduates pack Sanders Theatre to listen to President Roosevelts war message to Congress; that evening, a cheering crowd of 6,000 hears President Conant pledge all Harvards resources to help ensure a speedy and complete victory. 1951 The Administrative Board refuses to permit women to stay in the Houses until 11 p.m., even though Yale has already extended its curfew to that hour. 1961 The Harvard Civil Rights Committee holds an emergency funding drive to support the Student Non-Violent Coordinating Committee volunteers registering voters in McComb, Mississippi. 1966 Several hundred antiwar demonstrators confront Secretary of Defense Robert S. McNamara, M.B.A. 39, who is visiting Cambridge as the first honorary associate of the Kennedy Institute of Politics, and trap his car briefly. 1971 Newly installed President Bok and nine members of his staff accept a challenge from the Crimson to play a game of six-man touch football. The game ends in a 6-6 tie. 1986 The Faculty of Arts and Sciences votes to establish an honors concentration in the field of womens studies. The lone dissenter, professor of government Harvey Mansfield, calls the new program a foolish and almost pitiful surrender to feminism.